John Walker’s areas of practice include business litigation, commercial litigation, land use/real estate litigation, administrative/regulatory law, banking litigation, insurance law, local government law, construction litigation, trust and estate litigation, product liability defense and securities litigation. He has represented manufacturers, real estate developers, regulatory agencies, local governments, banks, independent power producers, distributors, automobile dealerships and leasing companies, insurance companies, construction companies and engineering firms. For many years, John has been named one of The Best Lawyers in America© for Commercial Litigation, Banking & Finance Litigation, Land Use & Zoning Litigation and Real Estate Litigation (2007-present). He was named the Best Lawyers® 2017 "Lawyer of the Year" for Banking and Finance Litigation. He has also been listed in Virginia Super Lawyers magazine (2006-present) for Business Litigation and named among Virginia's “Legal Elite” by Virginia Business magazine for both Civil Litigation and Environmental/Land Use Law for several years, most recently in 2015. In 2009, John was elected a fellow of the Virginia Law Foundation in recognition of his outstanding contributions to his community and the legal profession in Virginia. In 2008, Virginia Lawyers Weekly recognized John as a “Leader in Law” for advancing the practice of law. In 1999, he was named by Inside Business magazine as one of Richmond’s “Top 40 Under 40.” In addition, Martindale-Hubbell has ranked John an AV attorney, its highest rating available. John has been a leader of the statewide legal community. He is a past president of the Virginia Bar Association (2014), a former chair of the board of governors of the Virginia Bar Association (2012), a past president of the Virginia Law Foundation (2007) and a past chair of the Young Lawyers Division of the Virginia Bar Association (1997). He is a member of the Virginia State Bar and the Virginia Association of Defense Attorneys, in addition to the Richmond, Virginia and American bar associations. John is a former appointee to the CLE Committee for Virginia CLE. In addition, John has held civic leadership positions, both locally and statewide. John currently serves as the immediate past chair of the board of trustees of the Collegiate School in Richmond and is a trustee emeritus of the University of Virginia College of Arts and Sciences Foundation. 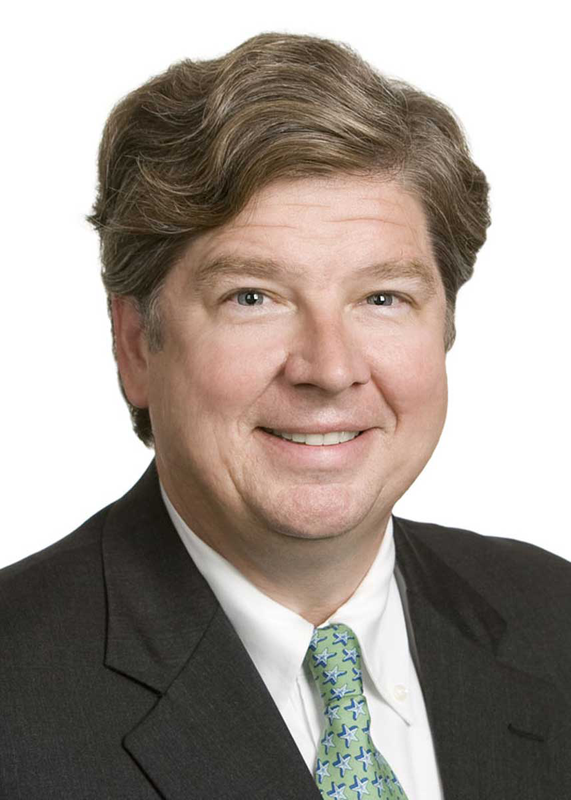 He is a past chair of the board of directors of the E. Angus Powell Center for Economic Literacy, a former trustee of the Virginia Chapter of The Nature Conservancy, a past president of Theatre IV (now Virginia Repertory Theatre) and a former officer and board member of the Richmond Chapter of the University of Virginia Alumni Association. After receiving his Bachelor of Arts degree from the University of Virginia in 1983, John worked for the National Geographic Society in Washington, D.C. In 1989, he received his law degree from the T.C. Williams School of Law at the University of Richmond. During law school, he received the Best Advocate Award in the Harry L. Carrico Moot Court Competition and was selected as a member of the National Moot Court Team and Moot Court Board. Represented numerous financial services institutions in a wide variety of litigation matters. Tried the largest Utility Transfers Act case ever heard by the Virginia State Corporation Commission. Opposed a regulated utility’s application for approval of the acquisition of coal-fired power plants. Defended electric power plant owner and operator in suit filed by insurer in state court to recover for business interruption claim in excess of $3 million arising from turbine failure at power facility. After discovery, Court granted client's dispositive motion and thereby dismissed client from case. Defended manufacturer of electromagnetic measuring instruments in suit filed by competing manufacturer in federal district court. Plaintiff's complaint alleged nine claims for breach of contract, trade secret violations, fraud, and various business torts. Plaintiff sought damages in excess of $13 million. After a 4 day jury trial, 5 of the 9 counts went to the jury. The jury returned a defense verdict on 4 of the 5 counts. The jury returned a verdict of $35,000 on plaintiff's breach of contract claim. Represented private food product manufacturer alleging breach of contract claim in federal district court against one of the largest private companies in the world. After extensive discovery, case was resolved at mediation before trial. Defended subsidiary of Fortune 500 telecommunications company in claim filed by a well-known Virginia legal scholar, who owned real property adjacent to defendant's proposed wireless telecommunications facility site. Plaintiff alleged that the zoning ordinance provisions pursuant to which defendant obtained local government approvals for the facility violated numerous state statutes and were, thus, null and void. Represented one of the largest private companies and electrical goods suppliers in the United States alleging a breach of contract claim under the Uniform Commercial Code in federal district court against a manufacturer. After extensive discovery, case was resolved at pre-trial settlement conference. Defended locality in both federal and state court against a developer's $7 million claim for alleged violations of due process rights and 42 U.S.C. § 1983. Developer sought to construct a large retail store on its property, but the locality denied the site plan on various engineering/technical grounds. The locality prevailed on summary judgment. Defended national California-based health care corporation operator of methadone clinics in highly controversial, media intensive lawsuit involving one of the corporation's substance abuse clinics. The matter involved numerous local government, land use, licensing, legislative, constitutional, and state and federal statutory issues. The Court granted summary judgment in favor of client. Represented developer in state court trial against a locality which had rezoned the developer's property to prevent the developer from constructing a multi-family residential project. The developer claimed various constitutional violations, violations of 42 U.S.C. § 1983, vested rights violations, and piecemeal downzoning. After a four day trial, the trial court entered judgment in favor of the developer. The locality's petition for appeal to The Supreme Court of Virginia was denied. Represented publicly traded chemical manufacturer in dispute with publicly traded paint manufacturer and supplier. Orchestrated and implemented settlement of contentious dispute to achieve business solution and thereby avoid expensive federal court litigation. Defended locality in connection with U.S. Department of Housing and Urban Development investigation into whether locality's refusal to approve tax credits for multi-family housing development violated 42 U.S.C. §§ 3601-3619. After an extensive investigation, which included interviews of City Council members, HUD found that there was no discrimination on the locality's part. Represented corporation in BZA proceeding and subsequent state court action against a locality involving the non-conforming use of a billboard and related constitutional and statutory claims alleging, among other things, violations of due process, vested rights, and 42 U.S.C. § 1983. Corporation prevailed in both the BZA proceeding and the trial court. The locality's petition for appeal to The Supreme Court of Virginia was denied. Represented publicly-traded corporation in a representation and warranties arbitration. Plaintiff-client purchased defendant privately-held corporation pursuant to a Stock Purchase Agreement. As part of the purchase, plaintiff held back a portion of the purchase price subject to asserting, within a specified period, an indemnity claim for any breaches of defendant's representations and warranties in the Stock Purchase Agreement. Plaintiff asserted indemnity rights because defendant had misrepresented portions of its unaudited financial records.